Get all ads under store. 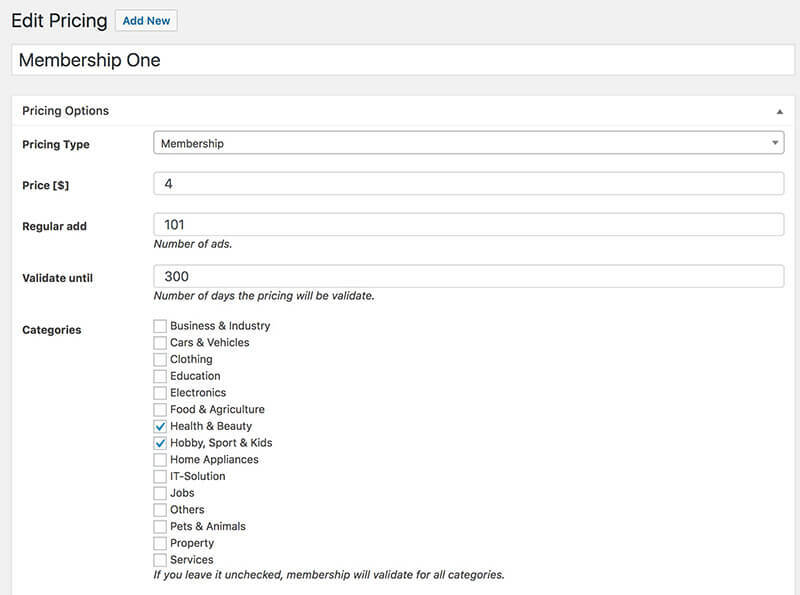 Can set Membership by Category wise or full site access. Can set no of items free. You can create membership package so user can chose which package they want, you can create membership by specific category wise or give access for all categories also can give free ads facility by category wise. 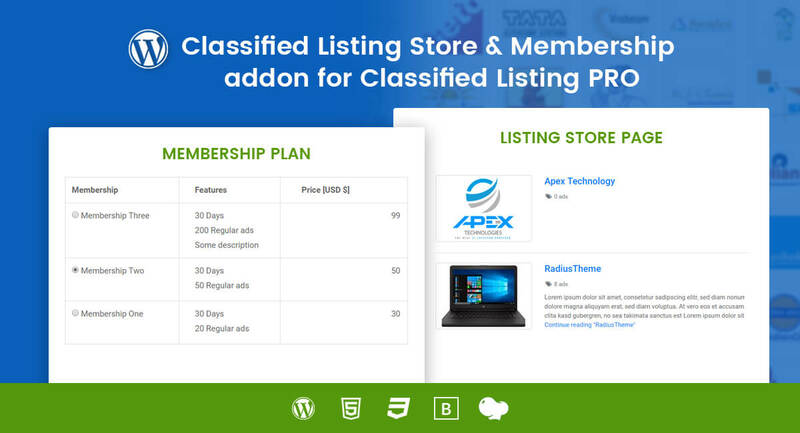 This is first time in WordPress classified plugin have store facility. We have store addon after enable this addon you will get membership option with store facility. 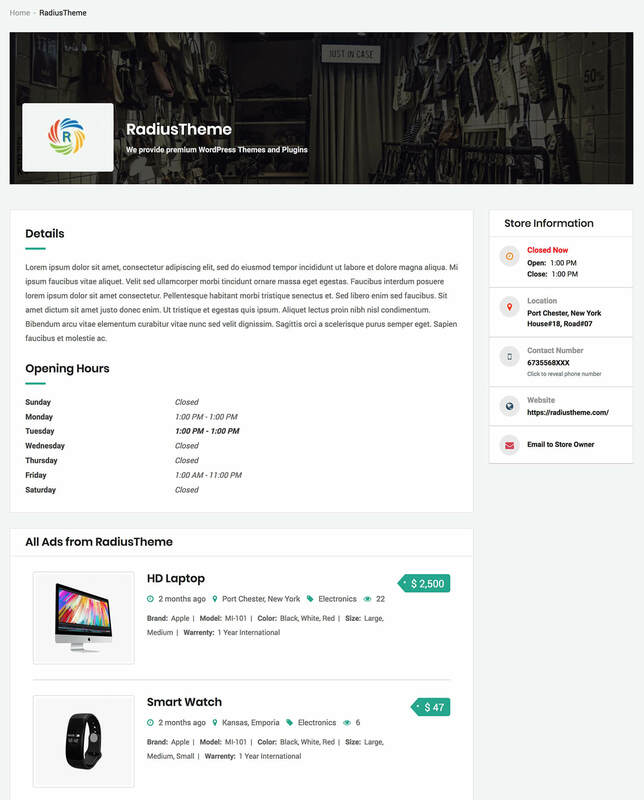 User can add there store detail like own store banner with description, opening hrs etc.. When any user visit the store page they get the all listings of the store.